Are you sick of trying to stuff that file back into that old filing cabinet drawer that squeaks every time you open it? Overwhelmed by the clutter and lack of space in your office? Spending too much time looking for that important file you can never find when you need it? At National Archives we want to eliminate your headaches by helping you cost effectively manage and efficiently keep track of each of your documents forever. Attempting to keep track of your piles of boxes and files on your own is costly, time consuming, and often very stressful! Most importantly, it also puts your business and customer information at risk. By using National Archives as your offsite storage solution you can be assured your documents will be kept safe and secure, and available 24-7. First we will help you decide on the best document storage solution to meet your needs. Then we will work with your schedule to organize the best time and day for us to come pick up your documents. You can prep and pack your boxes yourself or allow us to come do the packaging for you. Next we will barcode each box we pick up, and give you a receipt with the total amount of boxes picked up. Once back at our storage facility in New York, we will inventory the boxes accordingly. If you choose to box the files yourself we will input your content list for each box into our system respective of each unique Archiving SKU Barcode assigned to each box. 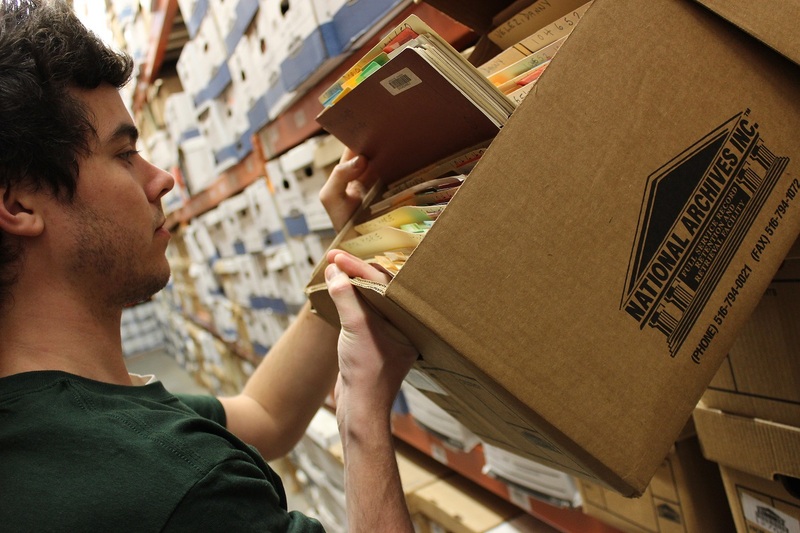 If you don’t have the time to index each file we will go through and inventory the contents of each box for you and provide inventory reports at your request. Once in storage your documents are protected by our safe and secure storage facility, including advanced fire protection, alarm, and 24/7 security monitoring. Your documents will be readily available to you at your request. You can come pick up your order at our storage facility or schedule a delivery. It’s time to end the mess in your office, it’s time to clean the clutter, it’s time to be organized and keep track of all of your important files. Call National Archives or contact us at your convenience.